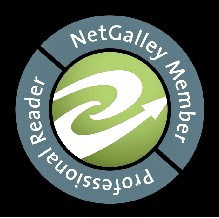 I reviewed Michele Campbell's It's Always the Husband back in March and said that it is a top-notch mystery. In fact, it has quickly become one of my favorites to recommend as it definitely keeps you guessing throughout. 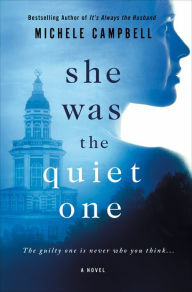 I was excited to pick up Campbell's latest, She Was the Quiet One, and while I like her previous book slightly better, it is still a worthy read. Twin sisters Rose and Bel Enright are as different as can be. Rose is studious and quiet, while Bel is much more extroverted. When they are sent by their grandmother to Odell, a prestigious boarding school, Rose takes to it immediately. Bel, on the other hand, gets in with the wrong crowd, and finds herself in increasingly dangerous situations. As we understand from the beginning, one of those situations is murder, but which side is Bel exactly on? Campbell writes a pulse-pounding thriller here, and she kept me up long past my bedtime turning the pages. The ending was predictable and flat for me, but the ride was certainly a fun one to get to that point.